NATIONAL NEWS - A cash-strapped Limpopo municipality has been accused of turning a mayoral soccer tournament into an ANC rally to garner support for the party ahead of the May 8 polls. 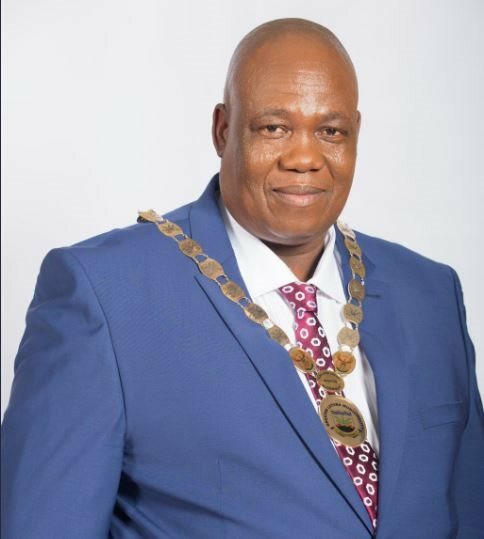 Mayor for the Greater Letaba Municipality, Peter Matlou, has also been accused by opposition parties of spending nearly R500,000 to buy food and booze to entertain ANC bigwigs at the event’s afterparty. Those who attended the jamboree after the mayoral cup event said guests were served steak, chicken and boerewors, washed down with expensive whiskies and vodka. Less expensive drinks such as beer and ciders were served to journalists and musicians who were also present. ANC members were in the majority at the event, wearing party regalia and singing protest songs and dancing. They also chanted freedom slogans. The event was attended by, among others, Mopani ANC regional chairperson and Ba-Phalaborwa Municipality mayor Pule Shai, Greater Tzaneen Municipality mayor Maripe Mangena, mayor for the Maruleng Local Municipality Dipuo Thobejane and chief director for the department of sport, art and culture in Mopani, Mabakane Mangena. Money was also spent on hiring buses to ferry revellers to the Makaba Stadium, where the event took place on Sunday. The Citizen can confirm that a similar event for the Greater Tzaneen Municipality has been arranged to take place in Nkowankowa on April 27. An ANC leader, who spoke on condition of anonymity, claimed events similar to that at Greater Letaba had been planned in all municipalities before the elections. “We are using two aspects to woo voters ahead of the elections. We use sports in the form of soccer and netball because most young people love sport. “For those who love dancing, we use local artists mixed up with national professionals to perform,” he said. “In that way we are able to kill two birds with one stone – entertain our people and making the ANC popular going to the elections, while at the same time, conveying our election message to the people,” said the ANC leader. The Economic Freedom Fighters (EFF) was not happy with Sunday’s event. “The sad part is that Matlou’s municipality is characterised by service delivery protest marches and go-slows, but he is able to spend this much on useless things,” said EFF Mopani regional secretary Bazooka Hlongoane yesterday. Spokesperson for the Greater Letaba Municipality, Lovers Maenetja, brushed aside allegations that the municipality turned the soccer tournament into an ANC rally. “People who were wearing ANC T-shirts and singing ANC songs were from ANC door-to-door campaigns. “They only came into the stadium to support the event because they love sport,” she said. Maenetja also refuted allegations that the event was funded by the municipality. She insisted the event was “privately funded by those who share a similar belief with us that a child in sport is a child out of jail”.